Welcome to this super clean and well-maintained home in beautiful Kings Valley! 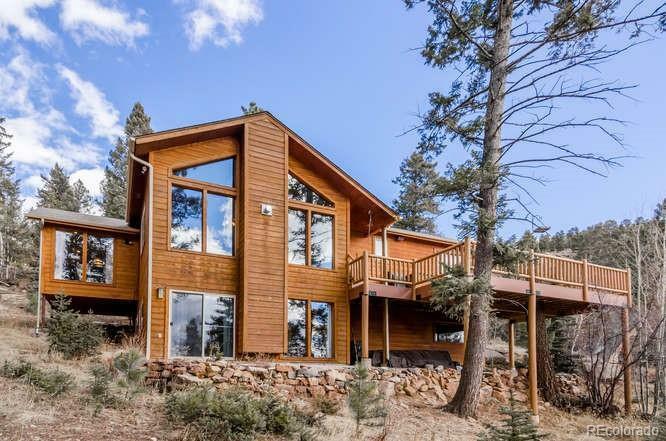 Prepare your gourmet dinner in the newly remodeled kitchen while appreciating the sweeping views of Pikes Peak, then settle down in either of the two large living spaces for an evening of quiet solitude. End your night in the large master suite or either of the other two bedrooms and wake up every day in awe at the beauty of your neighborhood! Wood and carpet flooring all new or newer, maintenance-free decking, beautiful high ceilings. Easy commute and paved all the way to the highway. Ready to move right in!